We are a company based in Barcelona founded in 1936 and run by the third generation of the family. Over a period of 80 years we became experts in personal care, we extended our product range and consolidated our brand, making it stronger and better known to consumers. We distribute our products extensively in perfumeries, mass market and pharmacies worldwide. Time and experience have shown us that maintaining complicity with each and every one of our clients is our commitment with continues innovation and growth. Beauty can be many different things or the sum of all of them. With innovative accessories and cosmetic adapted to different needs and market trends. With simple, clear communication; on the packaging, the display at the point of sale, and presence in the most dynamic media, a frequent meeting point with consumers. The Beauty Care line offers four complete ranges of tools and cosmetics for manicure-pedicure, makeup, hair care and bath accessories. 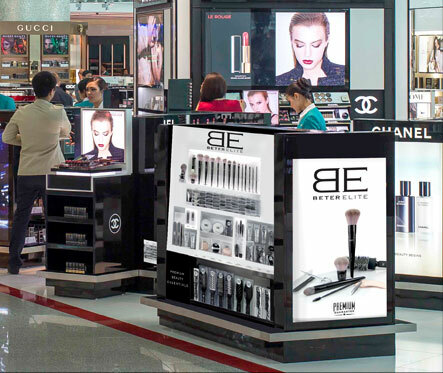 A cosmetic image that is transmitted through the product, packaging, display systems and merchandising, and places beauty accessories in their rightful place within the modern beauty care sector. A product range especially developed to cater for clients and points of sale with a tendency towards high-end products. A collection of manicure, makeup and hair care accessories as exclusive as the best cosmetics. 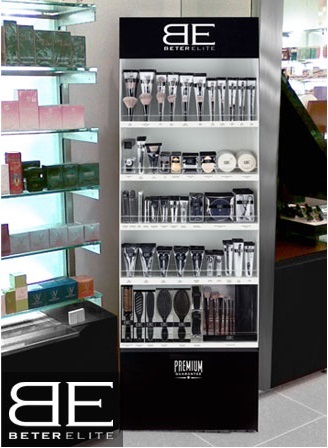 The product design, packaging and display system project an image that is in line with elite beauty care. A touch of class for beauty essentials. An established and constantly evolving range, conceived and designed for the international pharmaceutical sector. 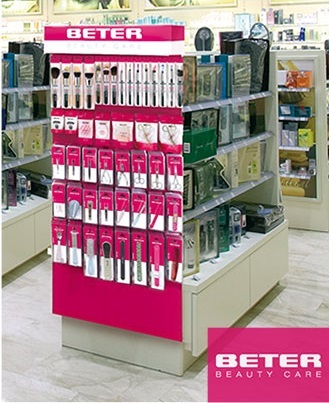 Providing new concepts, based on excellence and distinction, is one of the priorities in the development of Beter Pharmacy: offering impeccable service; the most practical, ergonomic and safe beauty accessories; cosmetic products and make up that aid styling while taking care of the skin. 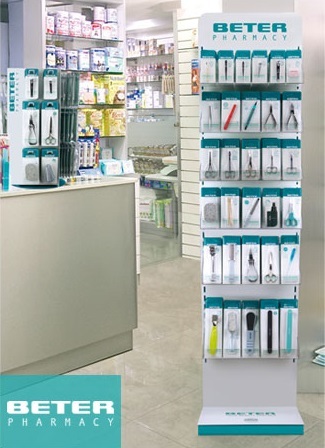 Beter Pharmacy transmits an attractive cosmetic style through packaging and display systems, which adapt to the needs of the location.